Follow Up of full order from order receiving to shipment like yarn booking and capacity booking, updating production status, etc. Price negotiation with buyer of different styles as well as settling price for trims and accessories with different suppliers. Day to day monitoring with merchant team for both execution and marketing. Communication with Buyer and set meeting in their office or own office. Set meeting with supplier and production people. Make liaison between buyer and production people. Get the things done from team mates and other related department. Update Management about order and other necessary things on regular basis. Handling multiple buyers and multiple styles of different buyer at a time. Check booking of merchant team . Trouble shoot problem of merchant team. Should have good relation with some Buying Houses/ Buyers by which different types of LC's/ Sales Contracts/ TT's can be easily received . 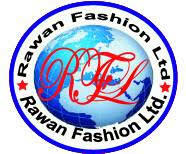 Company Name: Rawan Fashion Ltd.